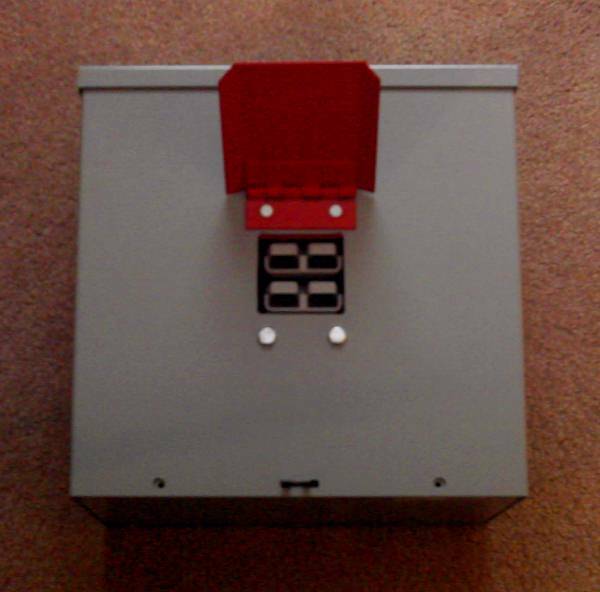 This unique kit provides a simple way to add a high capacity power inlet to many transfer switches or junction boxes. Perfect for pto generators larger than about 15kW (or any large generator) where a temporary removable connection is needed. Allows generator cable to quickly plug into switch enclosure or junction box enclosure rather than hard wiring to terminal lugs inside. Easily unplugged using the heavy duty handle included with plug. 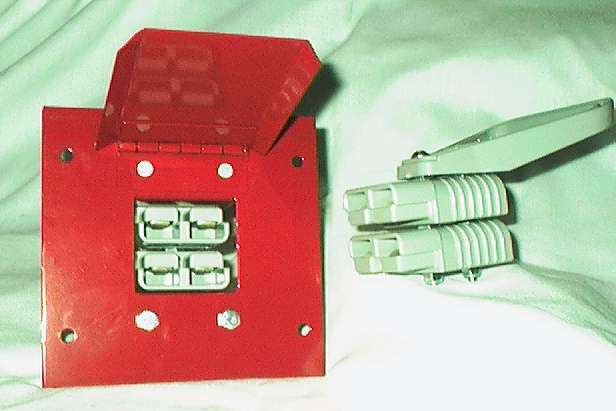 Kit includes 4 pole modular connector housing, 4 conducting tips, reducing sleeves, mounting brackets and panel, hinged cover and mating plug for end of generator cable. Everything is provided with kit except for welding cable, (4) 1/4-20 screws to mount panel, and plug for generator end of cable. That plug is usually provided with the generator. The tips are designed for use with extra-flexible welding cable and can be crimped and/or soldered. 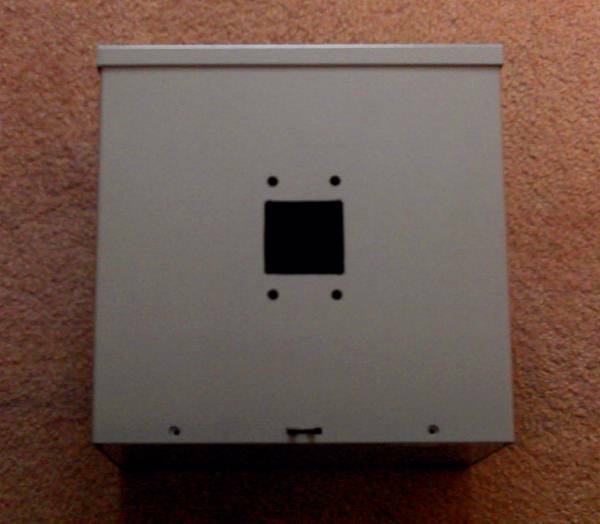 Install in switch side wall by rough-cutting a rectangular hole and drilling four holes for mounting screws to hold panel on outside of enclosure. 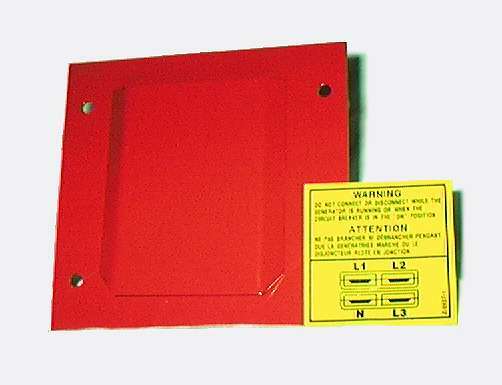 Note that if panel is too large to fit on side of switch the panel can be discarded if the rectangular hole is cut exactly to match the panel. 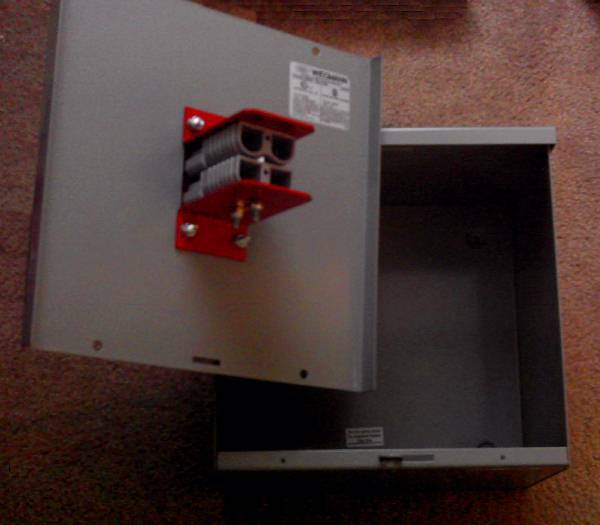 If you do not want to mount on switch enclosure, or the switch is not close to where you want to operate the generator then purchase our optional outdoor enclosure below and you can locate the inlet anywhere. * UL Rated for 65C rated wire or cable size. Actual ampacity may be less depending on application. 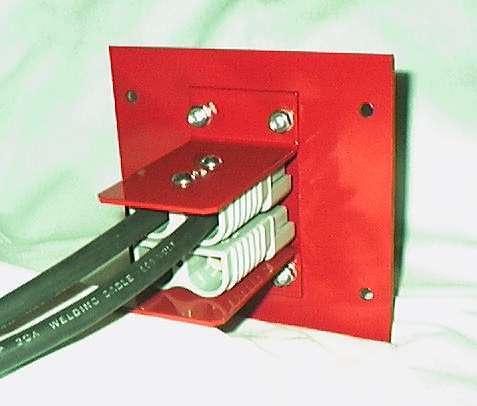 Connectors are CSA Approved and UL Recognized. 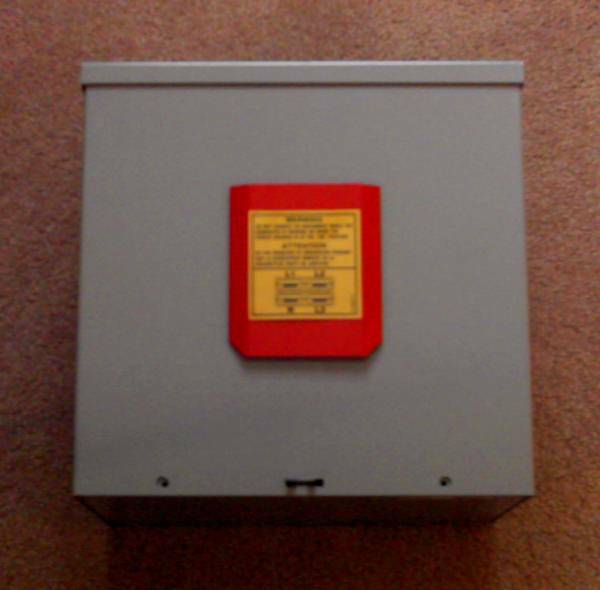 § Inlet and cover can be mounted directly in smaller space by discarding mounting panel. temperature of 30C (86F). Maximum conductor temperature 65C. Pick options using dropdown menus before pressing button. We use the generator rating info to verify kit and wire size selected.